Owen Jones is Product Development Manager for IG Doors who are about to mark 35 years of manufacturing composite doors at their Cwmbran plant; he sits on the technical committee of the Composite Door Association of which the company is a founder member, and along with the rest of the team he has recently overseen the design and introduction of the brand new Truedor range for the trade market. He is this month’s expert. In terms of the composite door market he has pretty much seen it all; yet after 24 years working with the company he remains as enthusiastic about Composite Doors as the first day he got involved and believes the sector has a great future ahead of it. “The Composite Door industry is in a great place right now, but that’s not by accident; it is there because of a pro active industry wide development programme designed to raise the standards of the product technically and aesthetically. This approach has helped to build customer interest and confidence in the product group across all sectors and it is an approach which must continue as technical performance requirements and customer expectations of the product continue to evolve”. So who better to ask……. …….about the future of the Composite Door sector? We asked Owen to step outside of his primarily technical role and talk to us about the sector as a whole, giving us some key pointers about what it needs to do to maintain its buoyant industry position. “Composite Doors are no different to any other building products in today’s market; they are required to be more thermally efficient than ever before. For a long period of time composite doors escaped the attention of those charged with making buildings more thermally efficient, they were deemed to be high performing by their very nature; but the fact is that now doors are under as much scrutiny as any other fenestration product and we need to ensure that we continue to evolve our product to make it compliant not only with existing but with likely future legislation, and to make it better performing than other door types”. “At the same time however, everything we do needs to be tempered with consideration of what the customer wants from an aesthetic point of view. I mentioned earlier that the composite door industry is in a great place right now and part of the reason for this is that in the last few years the traditional designs which have been with the sector for so long have been replaced by the sweeping introduction of vast new styles and new colours, new glass patterns and new hardware options”. “Now the sector arguably leads the wider window and door market for innovation. The point is that going forward, technical improvement must go hand in hand with an understanding of customer expectations of the product; the two things are not exclusive to one another”. “It is with these things in mind that we at IG Doors, and I’m sure all our competitors, keep our R&D programmes full of new ideas; we are always trying to second guess what the customer groups we serve might want and what the legislative powers might demand of the product group going forward. It is a really exciting time for our part of the industry but the one thing for certain is we cannot stand still. I believe we are in a phase where innovation is going to be more important than ever; to meet imposed demands yes, but more importantly to meet the demands of increasingly knowledgeable customer groups. They are the people we need to satisfy if we want to see a continuation of the market growth we have experienced in recent years”. “Bringing all of the above together will help create the products our customers want to buy from us and we need to support this with an approach which gives them the simplest way to do so; and with the best service imaginable. 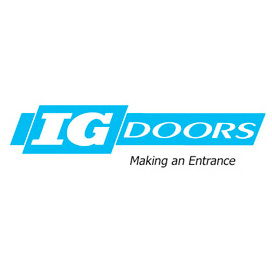 The composite door sector has not always been known for great service levels but at IG Doors we recognise that this is key; it is why we have such an advanced on-line design and ordering system for our customers, and why we have put so much investment and effort into making it as simple as possible for them to use. Just as importantly it is there for their potential customers to use. Investment in these systems means we are giving customers great service for the products which they buy and at the same time providing their potential customers with the opportunity to see and understand first hand the benefits of buying composite doors over other product types”. “It genuinely is an exciting time for the sector; after 35 years of making composite doors we still have an enthusiasm for the product which is second to none. We believe there are great times ahead for the sector if it doesn’t rest on its laurels”.